LINK stands for Leading Internships for New Knowledge and is a three week program offered at Animas High School. During this program, juniors and sometimes seniors are encouraged to go into the "real world" and immerse themselves into a world of their choice based on what they want to focus on during their internship and where they want to go. Some people have chosen to stay in Durango or go out of town. The choice is all theirs. During LINK, students have no regular classes as they spend 30-40 hours a week with mentors in the workplace, learning how to apply their skills outside the classroom. For more information, visit ahsinternships.weebly.com. For my internship I chose to stay in town and I wanted to focus on marketing and communications so I interned at the Durango Area Tourism Office (DATO). 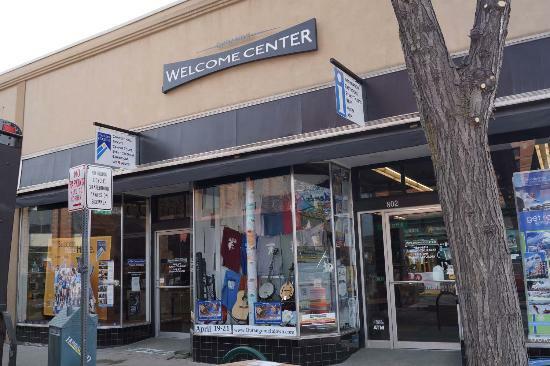 Located at 802 Main Avenue, Durango, CO 81301. DATO offers tourist information to people looking for an awesome Durango experience.